Statistics are easy to window-dress: showing everything but concealing vital facts. It is true in case of the small-scale industries (SSIs) also. For an average Indian, SSIs are more than 3.4 million registered small-scale units (and an equal number in the unorganised sector); 100 per cent of sports goods exports from India are manufactured by SSIs; 95 per cent of woollen garments; 90 per cent of readymade garments; 70 per cent of processed tobacco, snuff and bidi; 65 per cent of processed food; 52 per cent of finished leather and leather products; 44 per cent of basic chemicals, pharmaceuticals and cosmetics and 44 per cent of marine products. With a contribution of up to 45-50 per cent to the country's exports, SSIs are integral to the Indian economy. They also contribute seven per cent to the country's GDP (see box: Small-scale industries: big impact). But a close look will reveal that these figures are a bit skewed. Most of these products are reserved as per government policy to be manufactured 'exclusively' by the SSI sector. Over the years, the Indian government has consciously protected the sector with policy measures like fiscal incentives, reserved lists for exclusive production by the sector and preferential procurement of SSI products by the government. The biggest arguments in favour of SSIs have been employment generation and decentralised industrial development. And this is a fact. SSIs employ 19.2 million people (about five per cent of India's population) and manufacture close to 7,500 products. When the government declared its second industrial policy in 1956 (during the Second Five Year Plan), it laid the foundations for a protected small-scale industry regime. The operative statement of the policy said: "Small scale industries provide immediate large-scale employment, offer a method of more equitable distribution of national income and facilitate an effective mobilisation of resources and capital and skill which might otherwise remain unutilised". In 1967, continuing with its protection and incentive for the SSIs, the government kept aside certain goods to be exclusively manufactured by this sector. After this there has been no looking back. Just like agriculture, this sector also got uninterrupted focus in all plans and the list of goods reserved was constantly upgraded. By late 1980s, protection for SSI sector reached its peak (see box: A policy of reservations). Over the years, SSIs have emerged as a major supplier of mass consumption items: wool, silk and synthetic fibre textiles, cotton textiles, chemical and chemical products, hosiery and garments, leather and leather goods, automobile components, paper products and printing, stationary items, plastic and rubber goods, safety matches, food products, paints and varnishes and domestic utensils. Among the sophisticated items, SSIs produce televisions, calculators, surgical items and pesticide formulators among many others. As ancillaries, the SSIs produce a variety of parts and components required by large enterprises. Even for a particular product, there is a wide range of qualities or specifications catering to different market segments, particularly in consumer products. 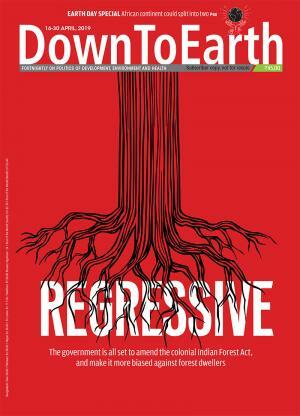 As the countryside and urban areas saw mushrooming of small-scale industries as symbols of 'industrial equity and resource distribution', India was also incurring a heavy environmental and human cost. There is also no real policy on the location of these industries. Currently, no industrial license is required to locate an SSI in cities with a population less than one million. But in cities with a population more than one million, polluting industries must be located in designated industrial areas. This policy is, however, extremely difficult to implement. There has been a rapid growth of tiny and small industrial units in Delhi. Several tens of thousands of polluting industries - nobody knows the exact number - are located in non-conforming areas in all cities. 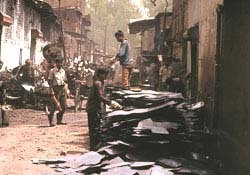 The Supreme Court's order of 1996 asked polluting industries in non-conforming areas of Delhi to close shop or relocate. Implementation of the order led to riots in 2000. Leading political parties blamed each other for the situation and protested in favour of the industries. The order has gone largely unimplemented. The policy has been to ignore pollution from this sector. For all categories of SSIs, except the 17 industries in the red category identified by the Union ministry of environment and forests (MEF), no major environmental clearance is required. A mere acknowledgement by the state pollution control board serves the purpose of consent and there is no need for the industry to obtain periodic environmental clearance till such time that a unit modifies or changes its processes of manufacturing. The Delhi-based National Productivity Council estimates that small-scale industries were responsible for 65 per cent of industrial pollution in 2000. They contributed to 40 per cent of wastewater generation in 2001, according to the Central Pollution Control Board (CPCB) (see table: Poisoned waters). But all this could now change. The altered global economic scenario is beginning to tell heavily on the Indian SSI sector. In April last year, the Indian government removed all the quantitative restrictions (QRs) - except on a few items - on imports. In 1997-1998, it freed 406 items; in 1998-99 it freed 896 items and put 414 items under the special import license. Further in April 2001, QRs were removed for 715 other items. Moreover, tariff barriers have come down significantly, with India having bound its tariffs at 40 per cent for finished goods and 25 per cent for intermediate goods, machinery and equipment. Import licensing, as a measure of protection for domestic industry, has virtually disappeared. SSIs now face competition from very cheap imports from countries like China. In the case of certain products where consumer usage is widespread, imported goods could be available at far lower cost than domestic goods. These goods include dry cells, stationery items, electronic components and goods, locks, toys, umbrellas, scissors, cutlery, chemicals and steel measuring tapes. Currently, environmental and social causes are not the part of WTO. But many countries, including the US, have been pressing for their inclusion. Once this is done, it will mean that environmental costs of production will be taken into account in trade. This would put polluting SSIs in India at a disadvantage in the global market and may have to close shop leading to loss of exports and of trade. Another area of concern for Indian SSIs is the agreement on Trade Related Intellectual Property Rights (TRIPS). "For Indian SSIs, which are so much used to reverse innovation (taking a product and breaking it backwards to learn the intricacies of production), this may spell doom since under the strict Intellectual Property Rights (IPR) regime the burden of proof will lie on the infringer," says K P Nyati, head, environment management division, Confederation of Indian Industry, New Delhi. The government on its part has been acting cautiously. The Union ministry of SSIs has set up a 'war room' to monitor the imports of 295 items. An Inter-Ministerial Group has been set up under the chairpersonship of the commerce secretary to assess the impact of removal of QRs. It has been made mandatory for the imported goods to adhere to the standards set up by the Indian Standards Institute. "We have to avoid the situation where our SSIs are not able to export because of the environmental problems," says Shreekant Gupta, reader, Delhi School of Economics, University of Delhi. "So it makes sense in making them environment friendly today," he adds.